If you ever go to a festival with me, you’ll hear me say, “Festivals really need beds. You know, someday I’m going to start a business that has soundproof tents at festivals with small cot-like beds and outlets, so you can rent a 30 minute block to take a nap, charge your phone, get out of the sun, and drink water.” (Side note: This is my idea and anyone who wants to get on the ground floor of this project can contact me and I will retain 60% royalties.) Well, I found my perfect bed-containing festival: Sixthman’s cruises. 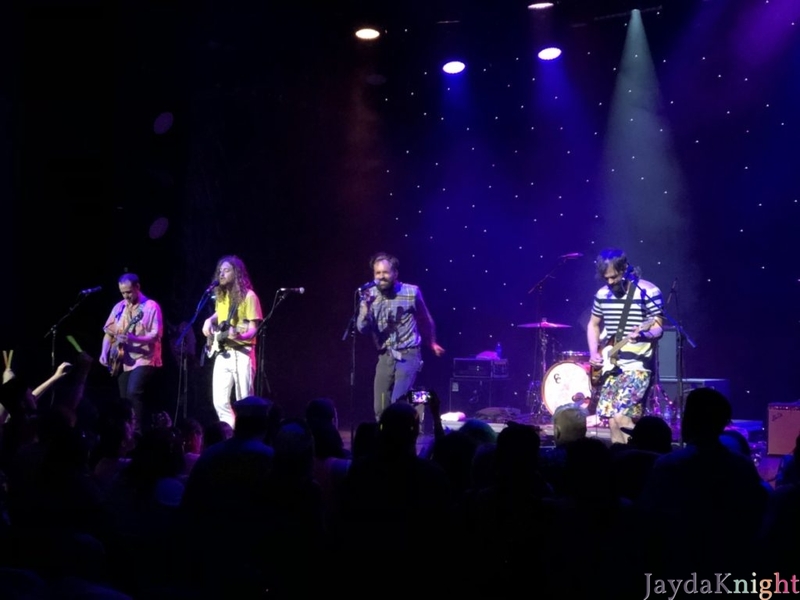 Parahoy is a four day rock concert/dress up party/dance party/cruise sailing with radio-favorite bands and 2000+ of their closest friends and fans. For my third voyage aboard “the big boat” with Paramore, I was in 100% vacation mode. No work e-mails, no phone calls, just sunshine and good vibes. While I understand Parahoy is primarily about the music, I loved just enjoying the cruise of it. Showing up a few minutes before set times and doing maximum amounts of sitting and staring at the ocean felt so nice. I have to admit it’s a wild opportunity though. 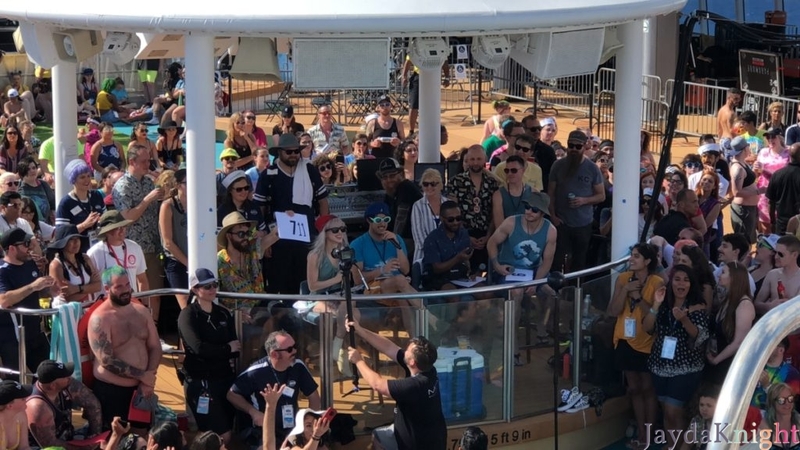 To catch two hour-and-a-half Paramore sets and see half of dozen of their favorite bands perform in the middle of the ocean is pretty insane. 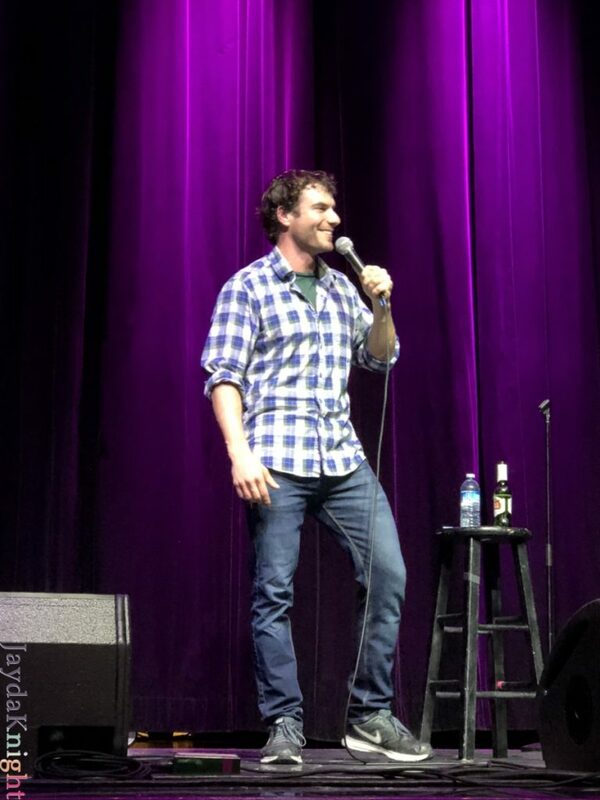 I watched Netflix on the flight to Miami, and then saw comedians from the shows I’m watching perform sets, and then later pass around a bottle of whiskey for the taking at Silent Disco (which if you think watching a bunch of people dance and badly sing along in a silent room is funny, it’s even funnier when they’re passing around a bottle of alcohol and silently waving their thanks). Exclusive activities connect fans with the bands, and I have to admit, I’ve been doing really well at Parahoy Bingo. I’m now 2 out of 3 for wins. Partipating is fun, but sometimes the most enjoyable moments are watching the other cruisers do things totally out of the norm, like take a nice belly flop into the pool for judgement by Paramore. 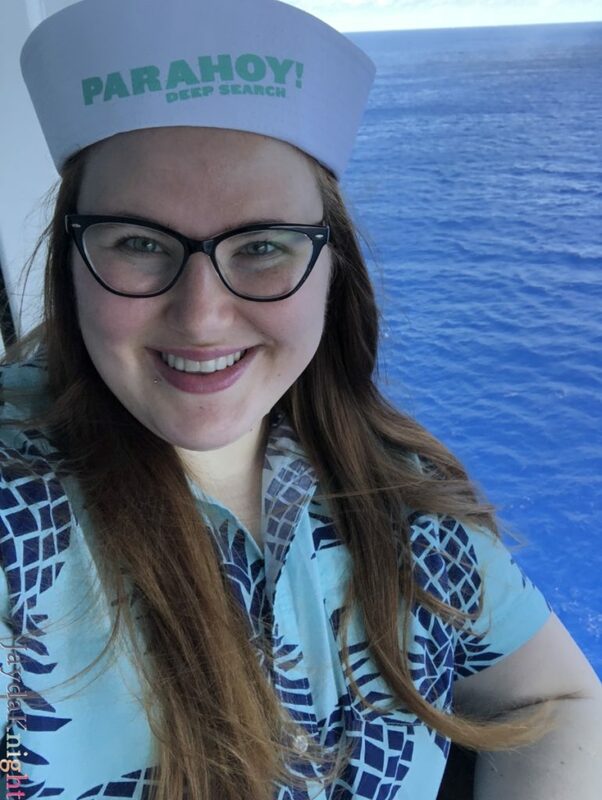 They say it’s not the destination, but the journey that matters, and on Parahoy, it’s all about the journey. And also the mid-festival naps.